Real license plates are often the preferred choice for advertising and for photo shoots. Because of the large quantity and variety of genuine license plates offered by ShopLicensePlates from the U.S., Canada, Mexico and the World, we were able to be the one-stop-shop that was needed for the campaign. We even have bulk and bargain license plates for sale. The days of using computer generated "prop plates" are definitely numbered. With today's advanced technology, and as digital and HD photography has evolved, it is easy to spot a fake or reproduction license plate right away. The use of vibrant and colorful antique collectible license plates is critical to achieve the optimum effect. By using our old expired license plates, there was no additional effort needed to enhance the photos. We offer over 20K authentic & old license plates! Since 2003 and with almost 20,000 decorative and authentic old license plates available and on hand, ShopLicensePlates is a leading purveyor and trusted source to collectors of all kinds. We are pleased to have been selected as a supplier for the project. Established in 1967, Ralph Lauren has been a leader and a trendsetter in elegant and timeless fashion designer clothing apparel, sportswear, home products, fragrances and accessories. 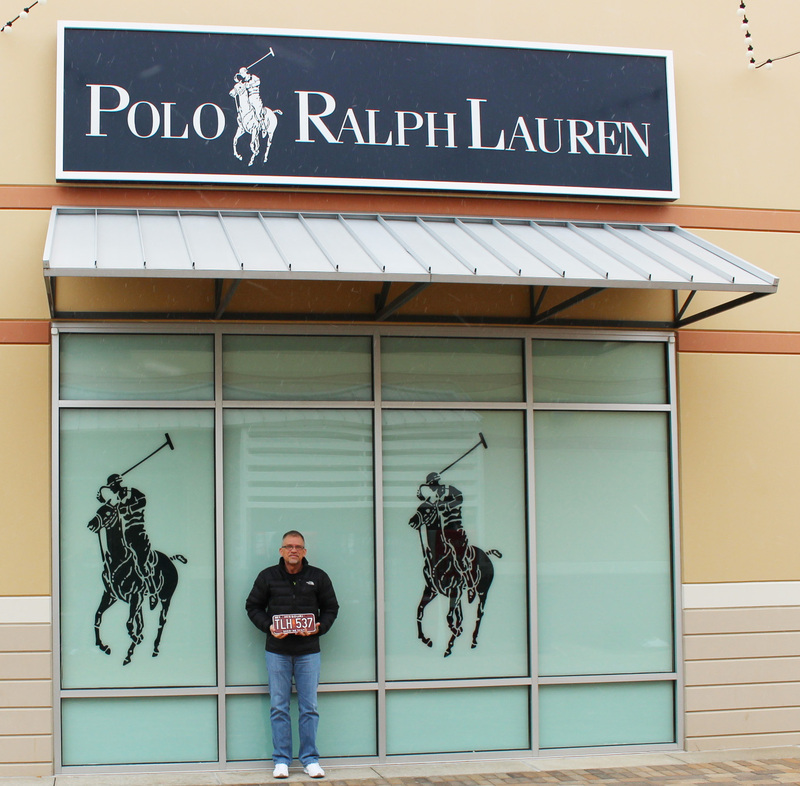 With their appreciation and dedication to quality, we sincerely appreciate Ralph Lauren's support of small businesses like ours.